It is not often that I am speechless or find myself searching for words just to throw them away because they are not worthy to describe what I am feeling. Teryn, my gifted writer, you have stolen my words, captured my breath, and have me wanting to stay up late to write freely about all that has ever haunted me. Teryn is the author of Be the Sun Again published by LM Inc. Be the Sun Again is the story of us all. I say this because with every page I found a piece of myself, pieces of my past lovers, and pieces of strangers that have whispered to me their prayers in my presence when they thought I wasn’t listening. 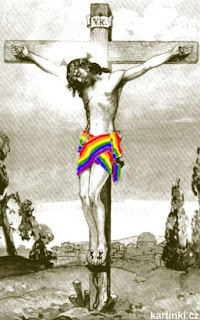 It is not today that we won't hear anymore of these bulls**** saying that Jesus can treat homosexuality. A new book is talking about the subject. I could stand up on my soap box and preach about the responsibilities we have as lesbians to guide one another and fill the void that society has drilled in our community. Tonight I had the pleasure of speaking with the author of Success With Femmes for Studs, by M Genius. 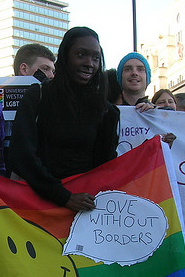 A request for asylum of an Ugandan lesbian was refused because she did not read lesbian magazines. I have always been a fan poetry. The freedom it represents has a way of speaking to me. I don’t get into the formalities of it all because personally I think that the style is individual to the writer. To fore-warn you, this column will never focus on the rules imposed on writer’s by critics who have never known what it’s like to be tortured by the need to write. This column is for those who understand what it is like to live off of pots of coffee, bottles of wine, chain smoking and one hour of sleep.